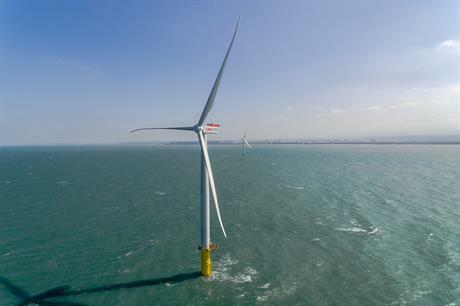 TAIWAN: Monopiles specialist Sif Group has signed a letter of intent with Taiwanese firm Century Wind Power to examine opportunities to supply foundations to the country's burgeoning offshore wind market. The letter of intent will investigate the possibility of forming a joint venture in the country to produce monopiles and transition pieces, Sif Group said. Century Wind Power is a subsidiary of Tawianese steel fabricator Century Iron and Steel Industrial, based in Taoyuan City, northern Taiwan. According to Sif Group, Century is experienced in producing large-scale engineering products and has good connections in the Taiwanese offshore industry. "Until the Taiwanese market demonstrates a structural demand for offshore wind monopile foundations, sections will be manufactured at Sif's locations in the Netherlands to be assembled and coated by Century in Taiwan," the Dutch firm said. Major offshore wind players, such as Dong Energy, Macquarie, Copenhagen Infrastructure Partners and Northland Power, are developing sites off Taiwan's coast, which the government is targeting to have 4GW installed off by 2030. In early September, five companies, including the renewables arm of consultancy LOC Group, signed a memorandum of understanding to improve the quality, safety and reliability of the construction of projects.